For those looking for solid foundations for a house extension or a building extension in Birmingham, Wolverhampton, Dudley, Walsall, Solihull, Redditch and Bromsgrove get in touch with a member of our friendly and professional team today. Welcome to Alliance Rose Ltd, leading providers of expert foundations and piling services. We’ve been established for over 30 years, and we’ve built a great reputation and growing customer base due to the reliable and professional packages we offer. All of our professional team are fully trained and qualified in carrying out piling work, with a friendly attitude coupled with our ongoing commitment to quality and service. 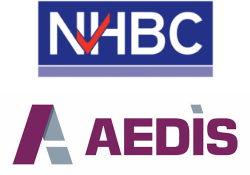 This has enabled us to build some great relationships with local authorities, NHBC and AEDIS businesses and homeowners throughout Birmingham, Wolverhampton, Dudley, Walsall, Solihull, Redditch and Bromsgrove. The video below shows a timelapse of a recent job we carried out. We specialise in all aspects of building foundations, including laying new or strengthening existing foundations. We use the latest equipment to carry out piling even in areas which are difficult to access. All of the work we carry out is fully insured and guaranteed, so you know that you can rely on our foundations. Whether you’re a homeowner looking to extend your own property or a commercial contractor working on a large new build, Alliance Rose Ltd can help. We offer free surveys and quotations for all of our projects, and we’re sure that you won't be disappointed with our competitive prices. Call 0121 384 5410 or contact us online to arrange a survey in Birmingham, Wolverhampton, Dudley, Walsall, Solihull, Redditch or Bromsgrove.